The first thing that strikes your interest when you meet him for the first time is his 'boyish look and physique”. 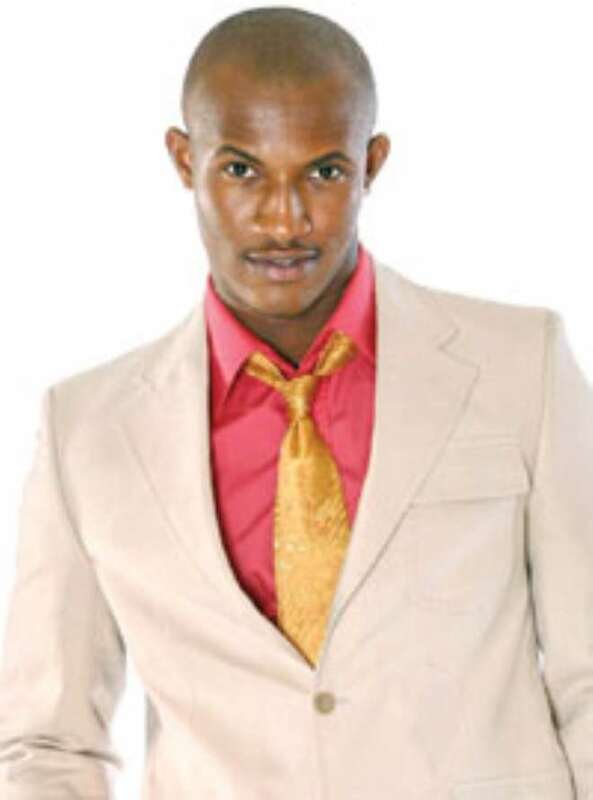 But Gideon Okeke is much more than that. He has got brains and talents to match. As soon as you get talking to him, you'll realise you are having a conversation with an actor that holds a lot of promises for his generation. Until 2006, when Gideon was launched into the world of screen via Big Brother Nigeria (BBN), nothing much was known about him. But today, he is gradually conquering the screen in Nigeria. Of a truth, Gideon takes after the likes of Sean Connery, Charlton Heston and Edward G. Robinson, Hollywood – tough-talking actors who managed to convey at all times the right combination of suave, sophistication and menace. Indeed, from BBN reality show to M-net produced TV series, “Tinsel”, Gideon has carved out a niche for himself as a TV star. The now rested show provided the platform for the Applied Biochemistry graduate from Nnamdi Azikiwe University, Awka, to showcase his acting and singing talents. While the BBN show lasted, Gideon displayed rare talent and managed to stand out among other Housemates despite the odds. Even though he didn't win the coveted prize, Gideon largely won the hearts of many viewers of the show. For this Anambra State born actor, featuring in BBN marked the beginning of his journey into stardom. Just last year, this Anambra State born actor debuted in the big screen when he acted alongside spotlight artiste, Nneka Egbuna in “Relentlessness” produced and directed by Andy Amadi-Okoroafor. The movie, described as “a blockbluster” further re-asserted Gideon's desire to take his destiny into his hands. Recalling the role he played in “Relentlessness”, he muted: “Relentlessness” actually picked me up. For me to have been inspired to do that job, I owe a lot to the director of that movie. Born in the early eighties, Gideon is an only child of his parents. And he grew in a home filled with love and care. Growing up as an only child fo Gideon was not much of a thrill. “I grew up in my own company and learnt and taught myself most things I know today. But in all, there are definitely fond memories of those days”. According to him, his parents were not surprise that he is pursuing a career in acting. “My parents and indeed, my friends who knows me very well wouldn't be surprise that I'm doing what I'm doing today. I started at age six . My Dad wouldn't be surprise that I'm into acting because he always knew where I'm going to end up. The thing is that I probably was in the wrong class, studying science related course, when I should have been in the Arts. Indeed,after the BBN show, Gideon hit the studios and recorded a single titled, 'Ogidigada' which featured Darey Art-Alade, Ikechukwu and Uchie, the African Rockstar. The song got some airplay on some radio stations in Lagos but Gideon was at a crossroads. He had to test his ability to act in order to be sure whether to pursue a career in acting or in music . Meeting Obi Asika, CEO of Storm Media who recognised his raw talent gave him another opportunity to be seen. But this time, it marked a turning point in his life.He landed a presenting job on the Storm Media produced lifestyle magazine show, 'The Scoop'. It was a step in the right direction, but definitely not the kind of field Gideon wanted to pitch his tent. He had his eyes fixed on acting and has longed to kick start the same. But then, he felt there weren't so many enticing acting roles that proved challenging to him. In 2008, Gideon secured a role in “Tinsel'. And like many other aspiring actors , he attended the auditions. Not long after, he landed t he role of Philip Ade-Williams, the spoilt, egoistic and only son of a wealthy Nigerian movie mogul on the new M-Net TV series, Tinsel. He said, featuring in 'Tinsel” remains a huge thing for him because “from here I will go to the next project.' “When I got the role it was somewhat of a dream come true, a step in the right direction. Describing himself as “an ambitious actor”,Gideon said acting for him is a calling. “I think, it is my calling to become an actor. Acting for me, is inborn . Most big names in the industry today started from the television series before they moved on to the big screen.” he said. He continued, “Television has a longer-short life, while the big screen has a shorter-short life span. But you need to use the platform of television to gather your fan base before moving on to the big screen.